Trains, some people love them and other people hate them, where do you sit? 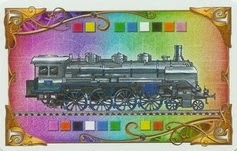 Personally ever since I played the original Ticket to Ride I have been against train games. A few things changed that, first I picked up Trains from AEG, its a Deck/Route Building Game which let me play a "Train Game" without all the focus being on the trains, and even better they just used cubes instead of plastic trains. Trains as a theme has always been a big turnoff for me and why I have had a hard time getting into train games, but lately I have been asking to play one. Next a friend that I got into board gaming discovered TTR on his own and brought it over, having a new tolerance for trains I could not say no and found myself enjoying Ticket to Ride much more than when I tried it previously. 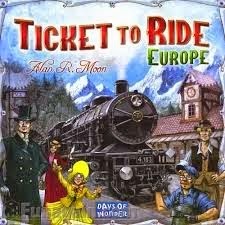 Then I discovered TTR Europe, there are a few differences between Europe and the original Ticket to Ride that make it a much more enjoyable game for me, below I will highlight the basics and then the differences between the Europe and the original game, then I will give my thoughts and explain why why it doesn't see much table action. Objective: In Ticket To Ride Europe your goal is the same as in the original TTR, gather train cards, complete routes between cities corresponding to your Destination Tickets to score points. 1. Place Trains: You must complete a route in 1 action (1 turn). In order to complete a route you must play one train card of the corresponding colour for each train you will place on the board. 2. Draw Tickets: You draw 3 destination cards and must keep one of them, you can keep any number of them but keep in mind incomplete tickets count as minus points at the end of the game. Tickets that are not kept are placed on the bottom of the deck. 3. Draw Train Cards: You may take 2 train cards at random or one face up train card of your choice from the 5 face up cards, if you take a face up train card it is immediately replenished. 4. 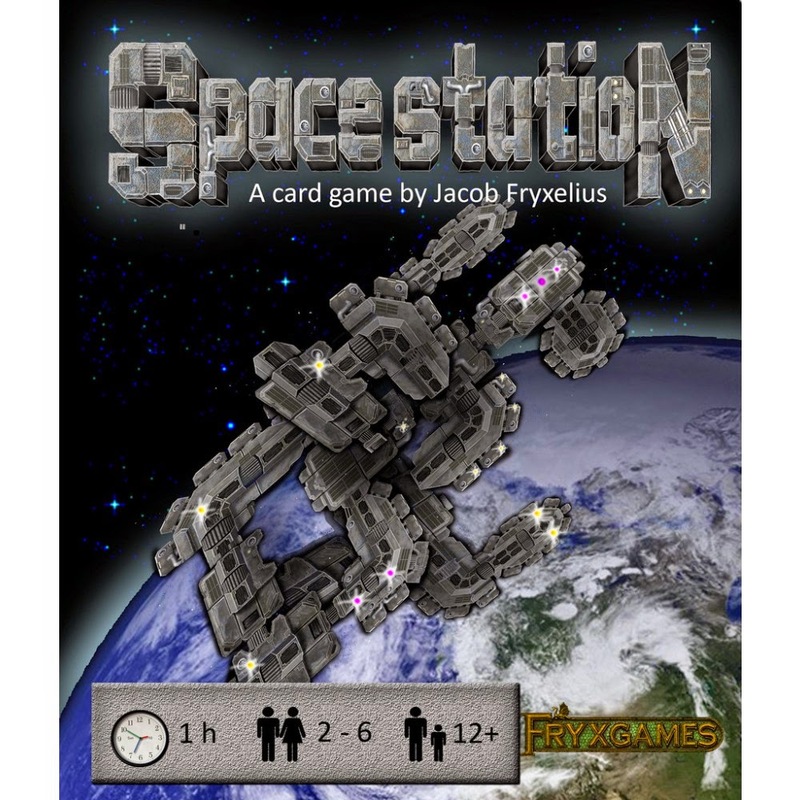 Place Train Station: A train station may be placed in order to use an opponent's route as your own. The first train station you play will cost 1 train card, the second will cost 2 and your last train station will cost 3 train cards, the train cards used to pay for a train station must be of matching colour. End of Game: When one player gets down to two trains left every player gets 1 final turn and then scores are calculated. Scoring: Through the game players are awarded points for each route they finish according to the number of trains in the route. At the end of the game players will score points for any destination tickets they managed to complete, in addition players are awarded 4 points for every Train Station they did not use and the player with the longest route is awarded 10 extra points. A lot of people get the wrong impression that TTR Europe is just a new map, well it is not! In fact I don't really enjoy the original Ticket to Ride so let me explain the key differences and why I prefer Europe. Train Stations: For me this is the big one, not because I dislike getting blocked but because I enjoy the added level of strategy, without them there is only so much planning you can do but with Train Stations Ticket to Ride feels like an entirely different game. With 4 players I feel like they add to the urgent/rushed feeling that TTR creates, at the beginning of the game do you take those valuable routes or stash train cards, you will have to make similar decisions with your train stations. 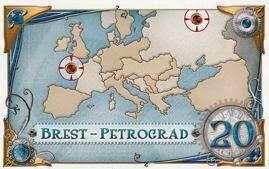 Destination Cards: In TTR Europe you seperate the long routes from the short routes and players are each given only 1 long route at the start of the game, during gameplay you can only draw short routes. This helps make the game more balanced and strategy based instead of luck dependent, however I feel like it is a bit counterintuitive to introduce this mechanic after adding Train Stations to the game (which fix the long vs short route problem for me). Locomotives: Locomotives serve two purposes, first they are a wild card that allows you to help construct routes easier, secondly they allow you to use ferries. To build a route over water you will need to play a number of Locomotive Cards equal to the number of Locomotive symbols on corresponding on the route. To me adding new water routes and wild cards are great because they help speed up the game as well as give more options. Tunnels: These are a special route that may require additional train cards. Tunnels are noted by their dark black border on the game board. When a player wishes to claim a tunnel route they first turn over the top 3 train cards from the deck, for each card corresponding with the colour of the route, you must pay 1 additional train card to complete your route. Note that locomotives always count against you. The way tunnels work also seems counterintuitive to me because they slow the game down while Locomotives seem to be put in place to speed the game up, they also make things more random while Locomotives allow for more in depth strategies. My Thoughts: Although I enjoy Ticket to Ride Europe it does not get played much, mostly because my main group is starting to get into less light games. I think where TTR Europe sits best is as a family game, it is not nearly as frustrating as the original game and has some fantastic mechanics that make it easy for non gamers to really "get into the game". That being said my personal bias has always been that trains are too boring to hook anyone on our hobby which leaves me with an easy to learn, somewhat addicting, G rated boardgame perfect for families to enjoy together. Who Would Enjoy Ticket to Ride Europe? Family Gamers: Ticket to Ride Europe is a great game for families, it has a family friendly theme and the rules are easy to grasp, the box recommends 8 plus. The rules are still deep enough that they allow you to develop a strategy. Also you can learn some geography while playing and playing doesnt take long at all. Casual Gamers: Ticket to Ride Europe is still every bit as accessible as the original Ticket to Ride and a great way to introduce friends, I like it because it allows room for a bit more long term strategy which is in my opinion a very important aspect when trying to hook new gamers on the hobby. I enjoy TTR as a casual game because of the very fast setup / packup time, and more importantly because turns go around the table at a quick pace. 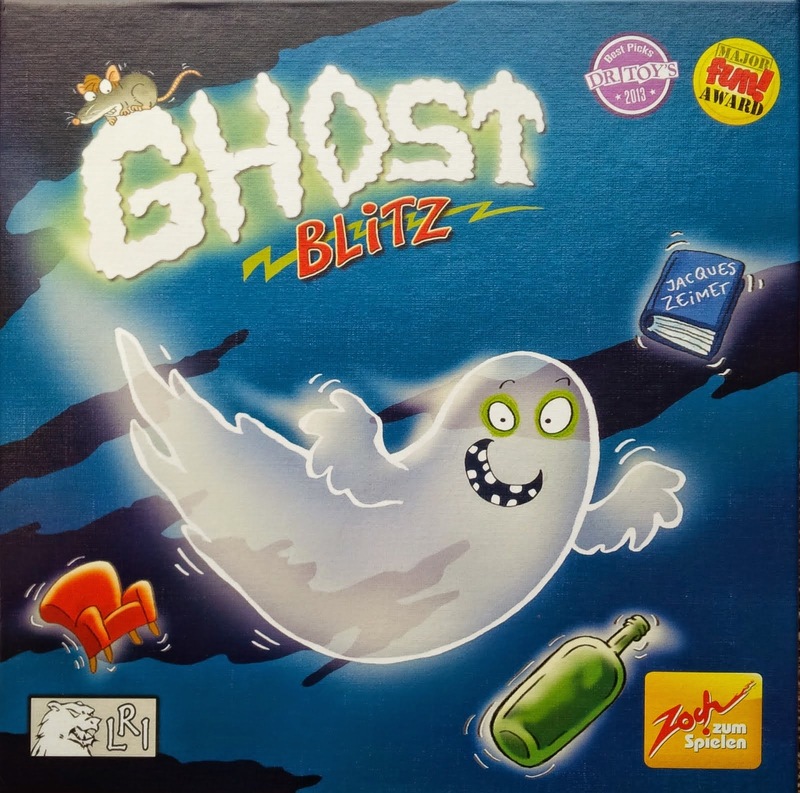 Gamer Gamers: Although not first choice, many serious gamers I know do enjoy TTR but as a much more cutthroat game where the focus seems to be blocking and keeping hidden the route you are working on is much more important. Although the original Ticket to Ride is better for this, TTR Europe can still be fun and I find makes a much better game to play with your non gamer friends. String Railway is one of the most unique games I have ever played and it is designed by the creator of Trains. We found its best to play this one on the floor but that does not make it any less fun..just slightly uncomfortable. 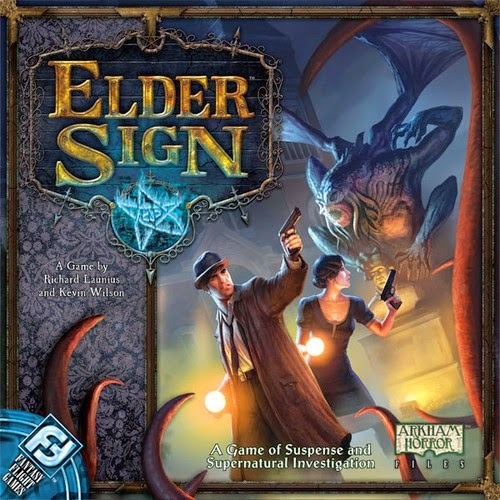 Elder Sign is a co-operative "dice game" set in the Cthulhu Mythos. Players will take turns exploring the Miskatonic University Museum. Your goal, similar to other Mythos games is to stop an Ancient One from waking up and escaping the Museum because if it escapes it will surely destroy the entire world. Hanabi is a great cooperative game that doubles as a team building excercise. 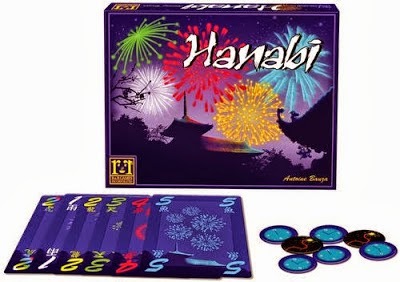 Although I am not overly ecstatic about the gameplay I do see the appeal, rules are simple and feeling like you are getting better at Hanabi feels like more of an accomplishment than most games. Great for anyone really. 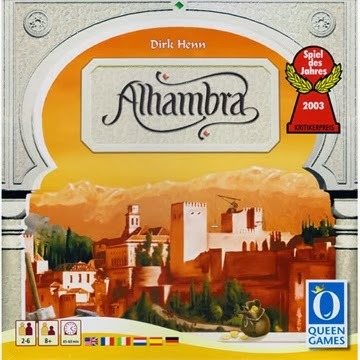 Alhambra is a great game if you are looking to accommodate larger groups and still make interesting decisions. 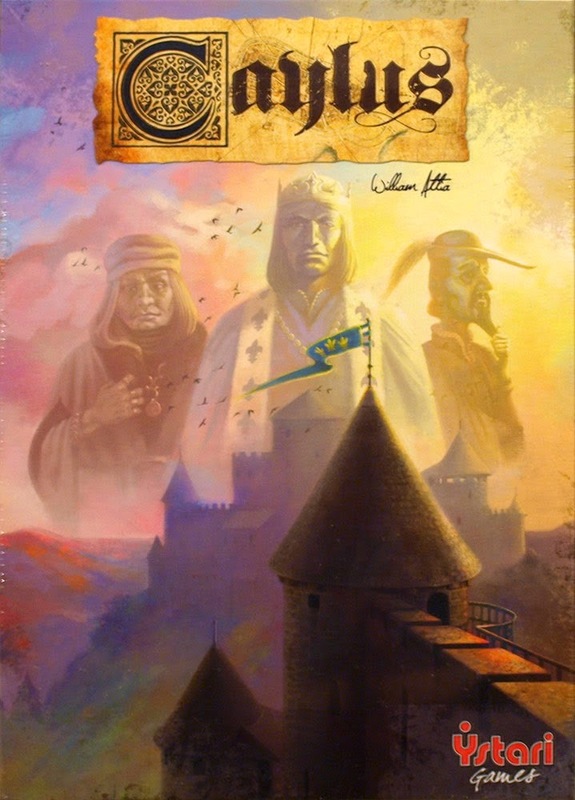 Alhambra also makes a fantastic two player game, in the review I talk in depth about how it plays with every number of players. Fairy Tale is drafting in its purest form. Fast paced, cutthroat and simple rules make it hit the table with great frequency. 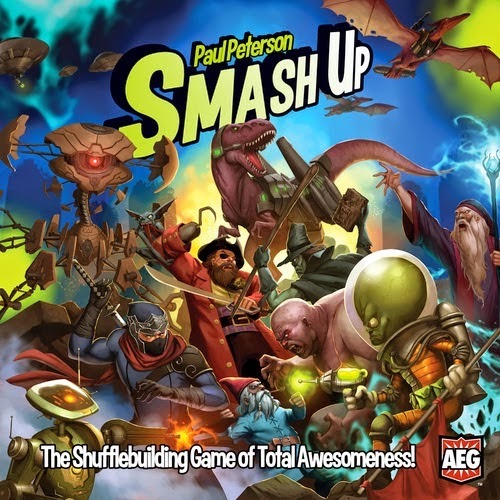 Smash Up is a direct conflict game where players "smash" any two factions of their choosing together to create a single deck and then fight for supremacy over various locations. 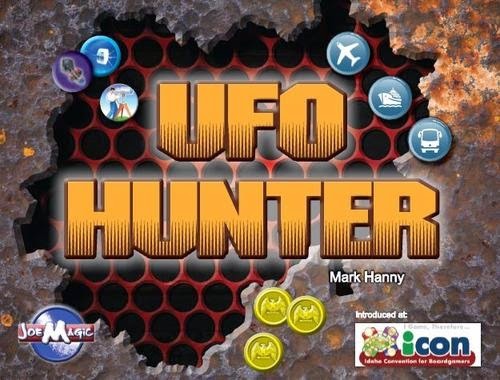 UFO Hunter is a Set Collection and Area Movement game with Auction and Bidding mechanics for 3-6 players. The Resistance is a social game of manipulation, deduction and deceit for 5-10 players. Since a lot of games are capped at 4 players, The Resistance fills a void for when you want to play with large groups of people. 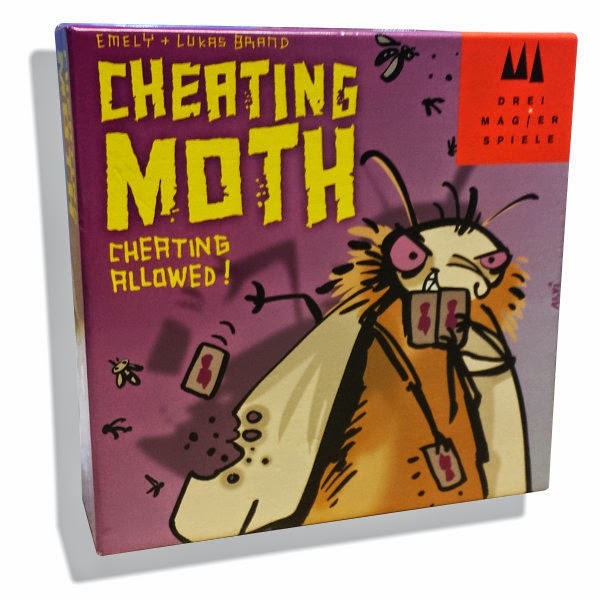 Not many games having cheating as a requirement, but you may be required to cheat in your game in Mogel Motte. This light filler might seem like a game you would play with a standard deck of cards, but there are more than a few twists. If you've got some time to kill or even if you don't, Mogel Motte is a great way to cheat on your responsibilities, relax and enjoy a game with your friends. 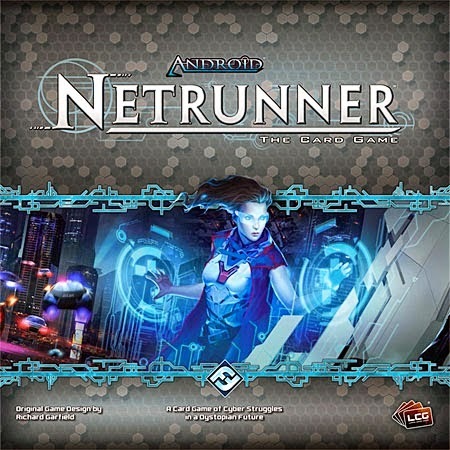 Android Netrunner is one of the Living Card Games available from Fantasy Flight Games. Players take on the roll of either a Corporation or a Hacker (Runner) and their goal is to either advance your own goals/agendas (Corporation) or sabotage corporate plans and steal their valuable information (Runners). 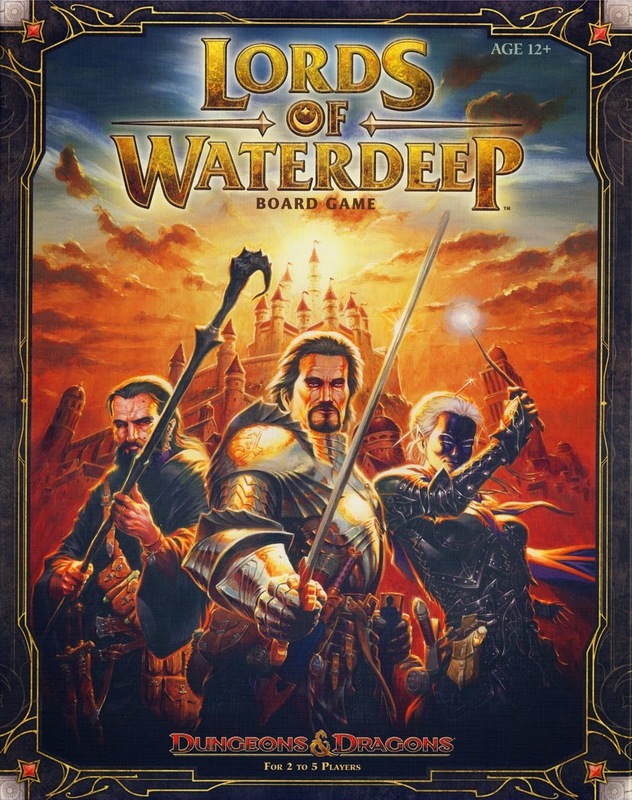 Lords of Waterdeep is a worker placement game for 2-5 players or 6 with the expansion. LoW is great for teaching Worker Placement to new gamers but can also be a very tight cutthroat game as well, especially once you add the expansion. 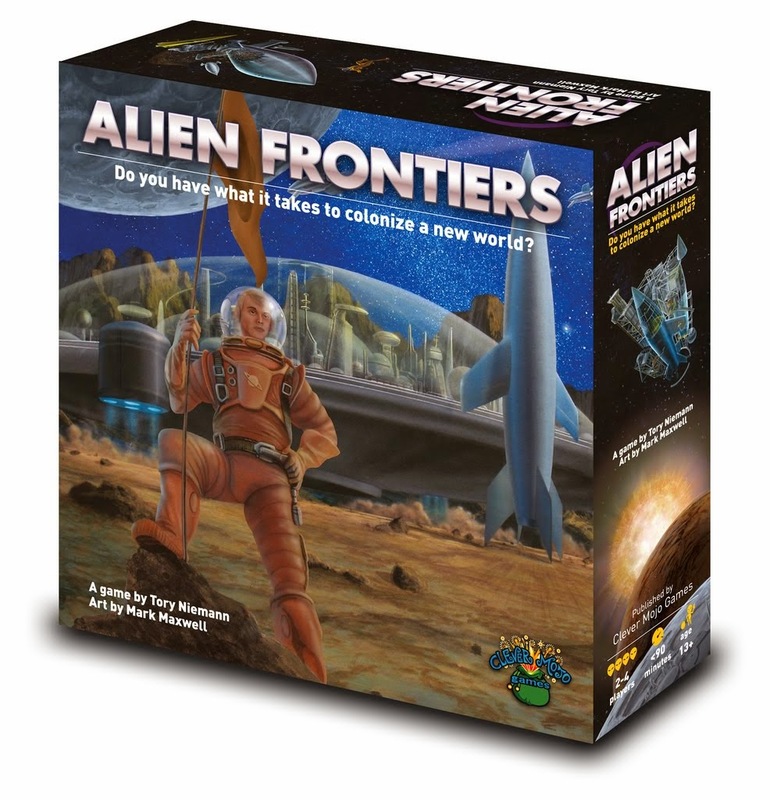 Alien Frontiers is a worker placement game with a retro space theme, players use dice as 'ships' which will dock at various space stations in order to collect the resources to build more ships and eventually launch colonies onto the planet's surface. 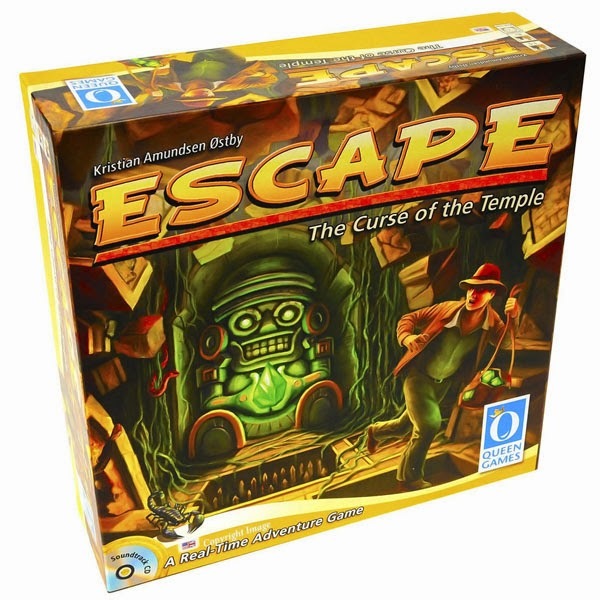 Escape is a real time board game where all players play simultaneously to try and escape a treasure filled temple before the doors seal them inside forever. 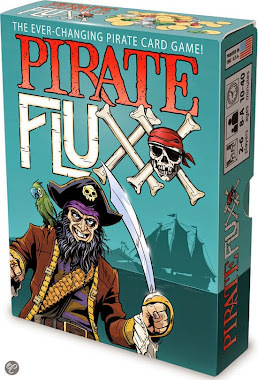 Pirate Fluxx is a filler/light card game that constantly changes, the rules and objectives constantly change based off what cards players play. 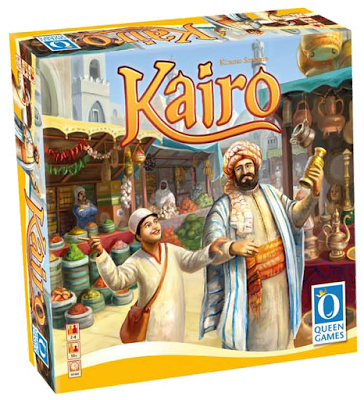 Kairo is a very interesting tactical game from Queen Games. The goal is to construct your market stalls so that you have the closest goods to each corresponding customer. Although Kairo is a bit visually confusing it is colour blind friendly and the mechanics are great, realistically it probably takes a full game to get the hang of how to play but after that it has a ton of depth. 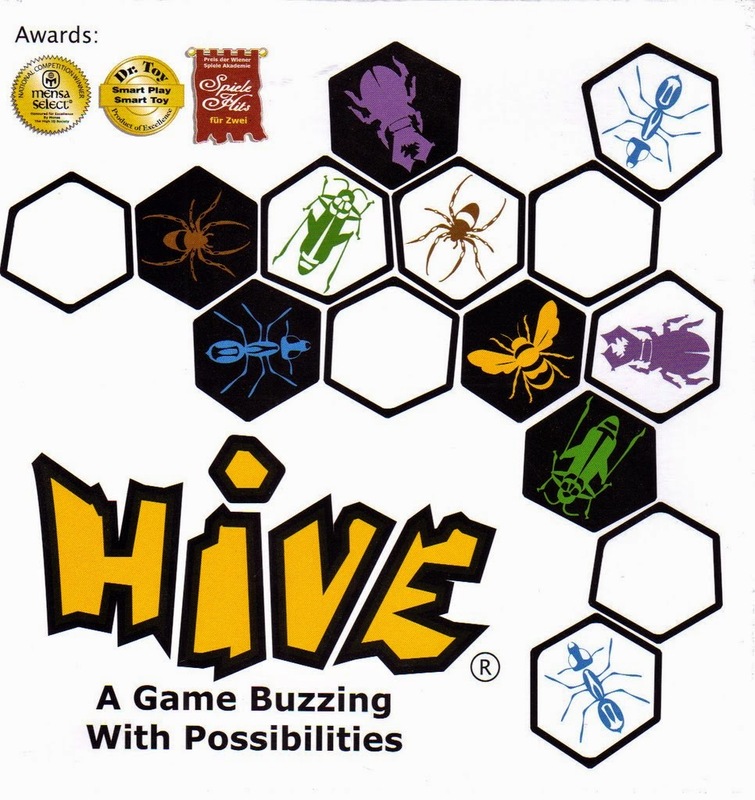 Above excellent quality components that feel amazing in your hands and zen like chess elegance, Hive is a must have for any two player gamer. Ticket to Ride Europe is far from being just a new map to play on. It introduces several key mechanics which add a ton to the game, its a bit less of an intro feeling but still not hard to pick up on for most new gamers. I will never play classic TTR again now that I own TTR:Europe. 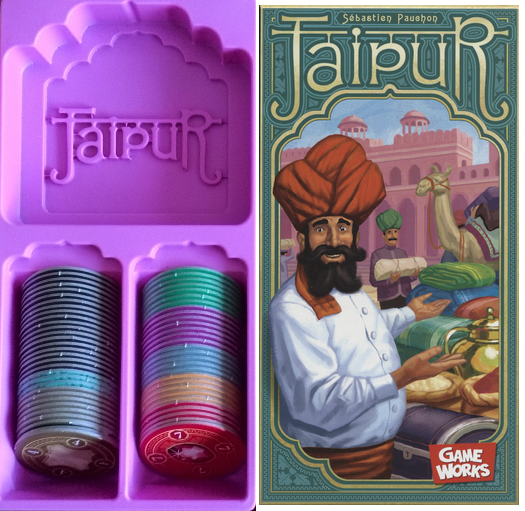 Jaipur is without a doubt my favourite two player game. I love it because the mechanics are not only fun but there is a ton of meta game and I feel like the theme is relevant to the game play. 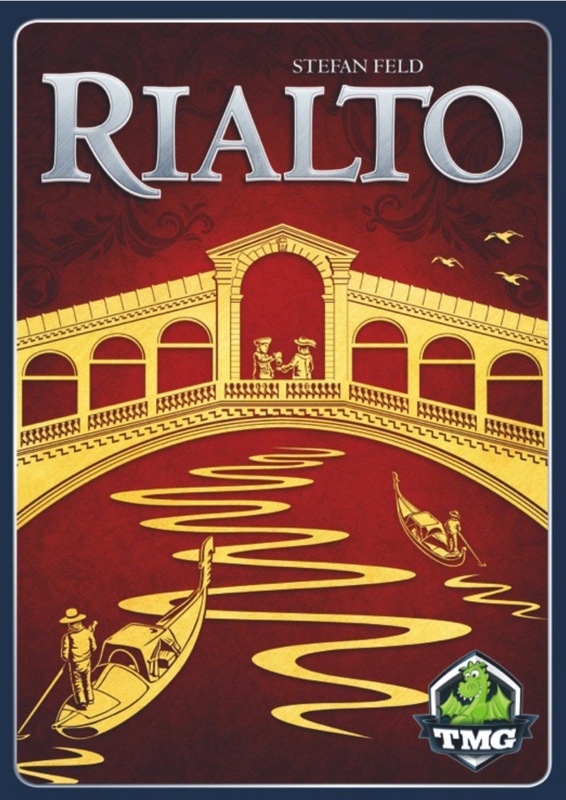 Rialto is a medium weight area control game with very interesting game play. 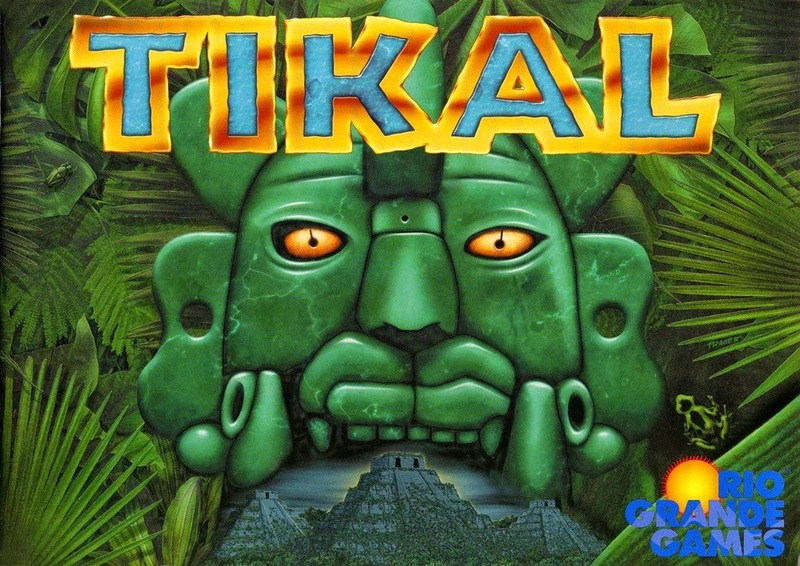 It is a fantastic game and I feel doesn't get the credit it deserves, if you are looking for a game with multiple paths to victory this is it. 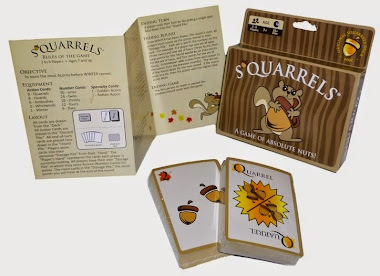 Squarrels is similar to games you might play with a standard deck of cards but with more player interaction and a cute family friendly theme. 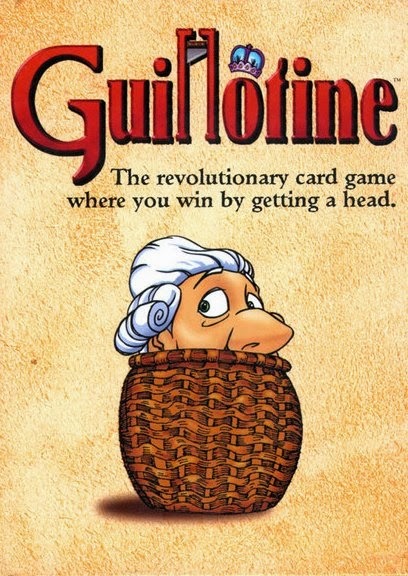 Guillotine is a light, fast paced card game that takes place during the French Revolution. Players must harvest the heads of unpopular nobles and try to become the most popular executioner. 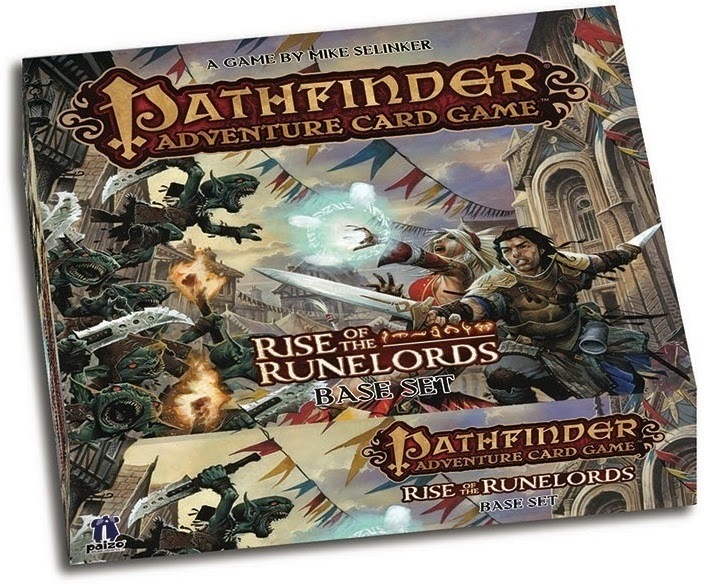 This review will help you get a better understanding of just what you're getting into if you plan on picking up a copy of the Pathfinder ACG. 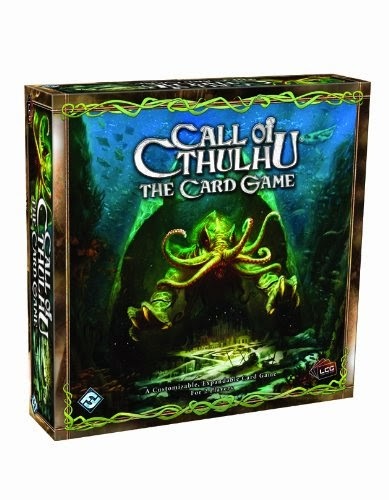 Lets start by answering your first question, what is an Adventure Card Game? 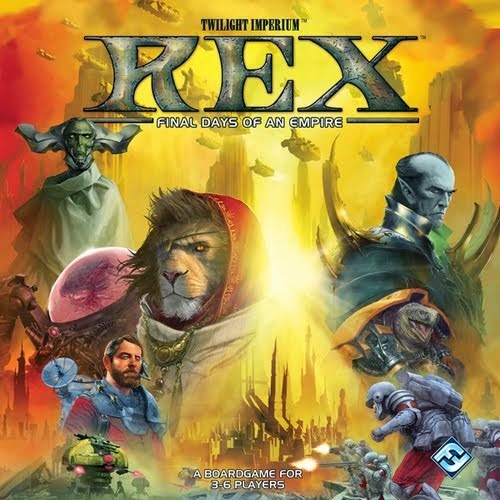 Rex: Final Days of an Empire is an area control game with a lot going on, you will have to use battle tactics, politics, hand/resource management, bidding/bluffing and just the right amount of backstabbing to win. For 3 - 6 players, be sure to have at least 2 hours set aside before playing. Safranito is a fantastic unique game that really gets you interacting. There are dexterity, strategy, and bidding components to this game. 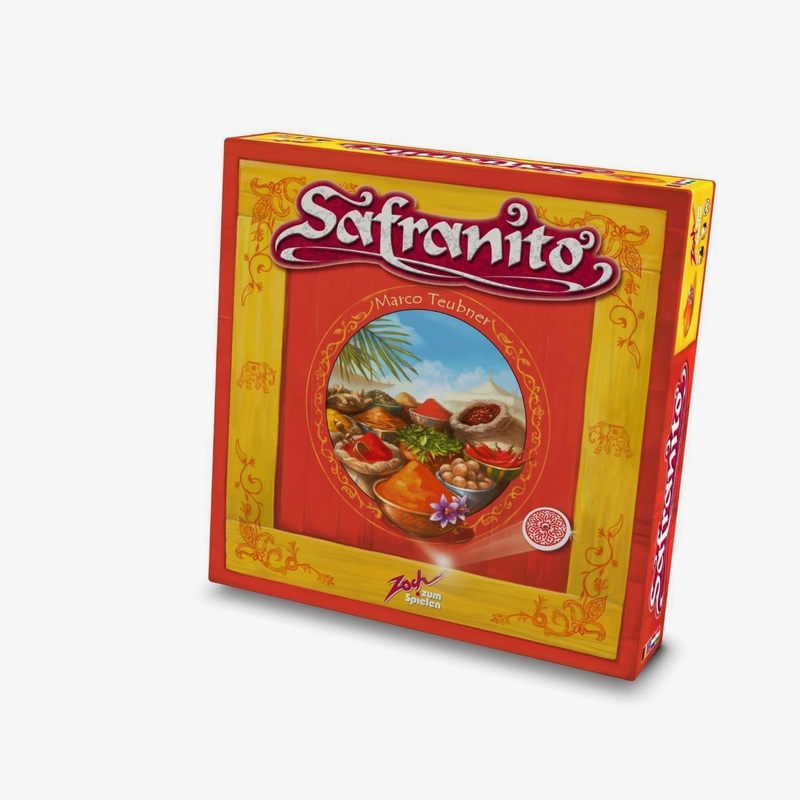 2 - 4 players can play Safranito and it is awesome with any number. 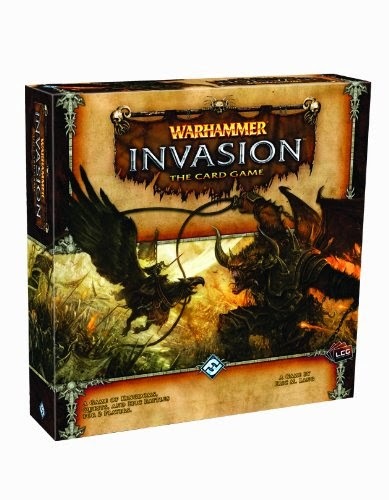 Warhammer Invasion is a thematic card game for 2 players. It is set in the Warhammer Fantasy universe and includes some of the most classic factions and cards! The goal is to set your opponents capitol on fire until two sections are fully ablaze. 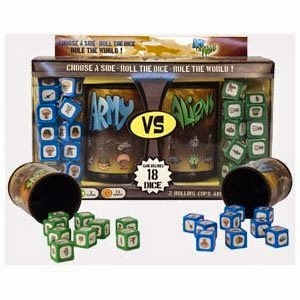 Army vs Aliens is a dice battling game for 2 players, The goal of the game is to destroy all of your opponent's dice. If 5 consecutive turns go in which no dice have been destroyed the game is considered over, players now count the total value of all units in their Scoring Area and the player with the highest total wins. 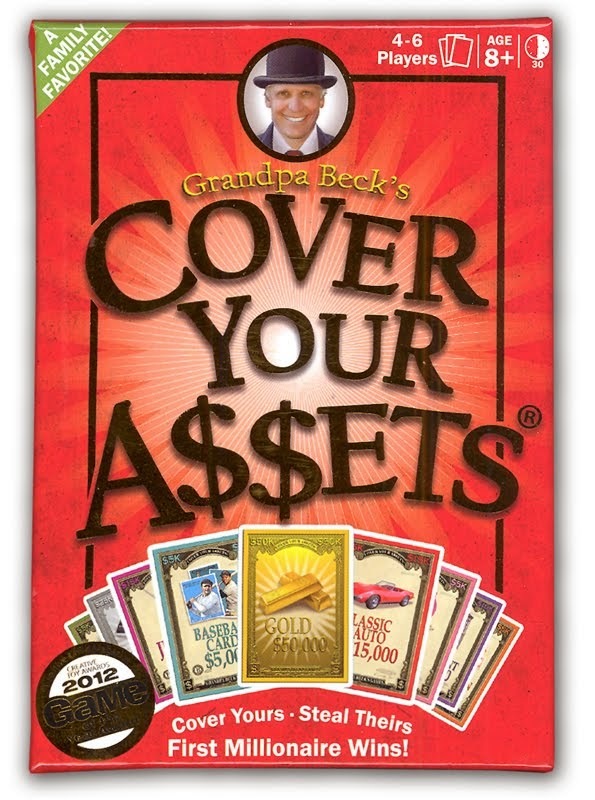 Cover Your Assets is a quick playing family card game where players try to collect 1 million dollars. 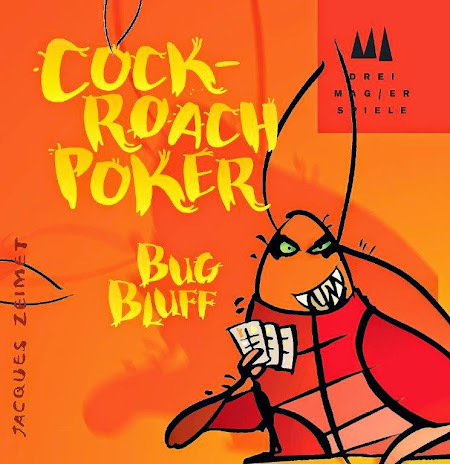 The game is played over rounds and borrows a lot of classic card games that use a standard playing deck. Seats 2 - 6 Players. 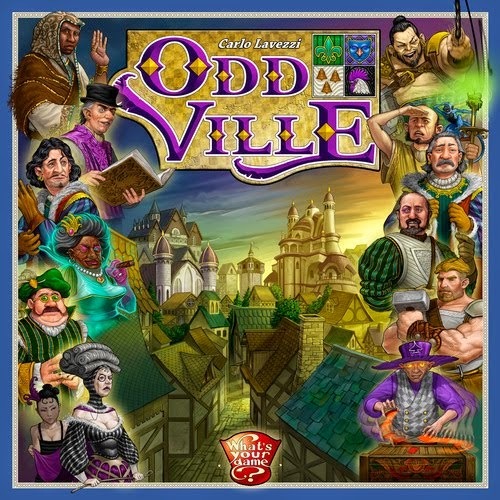 Oddville is a worker placement game and city building game, it plays fast and intense and brings some very refreshing gameplay to a well played genre. 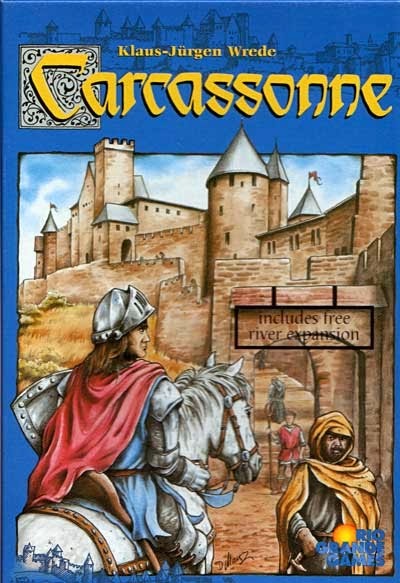 Carcassonne is one of the games that helped create the board game explosion in the early 2000s, it is a fantastic family and intro game for 2 - 5 players.